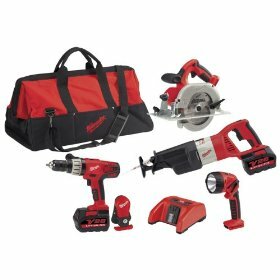 Milwaukee Tools Corporation, one of the industry leaders in making innovative tools and equipment present, Milwaukee cordless combo kits. Fit for projects that require job solutions for all cutting, drilling and driving needs, these kits provide resourcefulness and flexibility to access the right tools and accessories for the job. Renowned for their accuracy, power and great performance delivering tools, These cordless combo kits also make a mark in the market for the same features. They include Lithium -Ion batteries known for their spectacular battery life. No. 2 Phillips Batteries, Two Sawzall Blades, Circular Saw Blade, Rip Fence, Clip-Lok System, and Contractor Bag. -Batteries in this Cordless combo kit are light in weight life and are great. Also the meter is useful for contractors and professional users. -Power packed to do almost all kind of rugged cuts and rip. -The contractor Bag is more convenient than the cases. -The V28 Lithium Ion battery technology is exceptional and the tools are perfectly balanced, powerful, resourceful and rugged. -Batteries are expensive as compared to 18-volt batteries. Some reviews also say that the batteries break after a bit of rugged usage. -Cold performance is poor, especially disappointing as claimed by the manufacturer. -Drill is good, but heavy. -The flashlight is not all that bright as compared to the LED lights on other products. Compact Driver, Sawzall Recip Saw, Circular Saw, Work Light, Two 18V LITHIUM-ION XC Battery Pack, 18V Charger, Side Handle, One General Purpose Sawzall Blade, One Circular Saw Blade, Contractor Bag. -great power and delivers good torque. 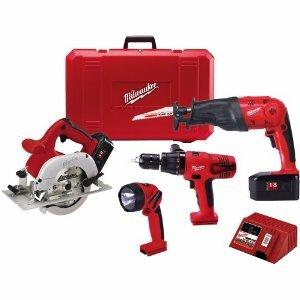 -this Milwaukee Cordless combo kit is well designed, and is relatively light in weight. - A great product for home repairs and commercial work. -the batteries have power meter directly on them for user convenience. -the batteries are not the same like the performance given by the 18v NiCads. -the different slide mount does not fit all the other existing tools. SUB-SCANNER Detection Tool, Screwdriver, Two LITHIUM-ION Battery Packs, 30-Minute Charger, Contractor Bag. -Measures location and depth of rebar through concrete up to 6 inches which is a great merit for professional and industrial applications. -Battery fuel meter that display the battery life, a touch of thoughtfulness. Milwaukee combo kits deliver splendid performance with user-friendly features. The tools included in the kits are ideal for professionals and industrial users. With superior and longest running cordless tools, Milwaukee tools kits make a great investment for those home improvement plans as well as rugged use. 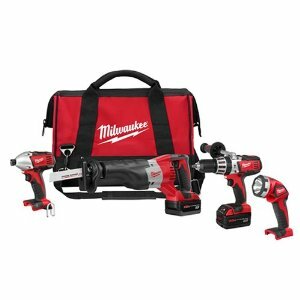 An ultimate combo kit for those who demand extreme power in their hands, Milwaukee makes sure to abide to your needs. Although with a few demerits to its name, users have found the Milwaukee Cordless combo kits better than their competitors. 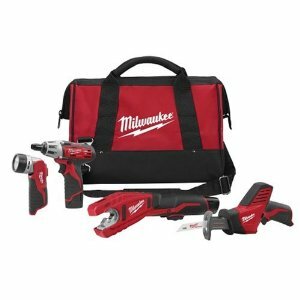 Return From Milwaukee cordless combo kits Page to Home - Finishcarpentryhelp.com.